iCarpool connects you with verified drivers going your way at the same time so you can start carpooling in a matter of minutes. Get to meet your neighbors and colleagues as you zip around in that carpool lane. Make new friends. There's no long term commitment - each carpool is for a single trip. Carpooling can provide you a direct point to point convenient option and can help you reduce your commute time. Of course - by carpooling you're reducing those pollutants in the air - so you'll be helping out the environment as well. Whether you ride or drive, iCarpool can help you could save thousands on your commute. Go ahead, get the App today! iCarpool is a mobile app that helps you find, connect and carpool with others going your way. Verified drivers, who might be your colleagues and neighbors, offer rides during their commute. Riders who are going the same way at the same time carpool with the driver for a single trip. 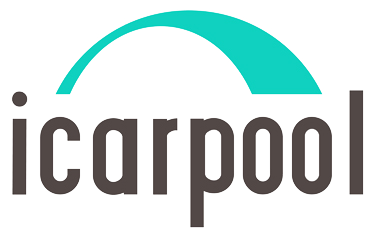 iCarpool uses a share-the-expense carpool model. Riders pay a small fee that starts as low as $1.50 per trip that is used to reimburse drivers towards the expense of their trip. There's no surge pricing or peak rates. A trip using iCarpool is probably cheaper than your morning latte! Do you drive? Those empty seats in your car could help you save thousands of dollars each year. Interested? So, you need a ride! You may not know them yet - but you have neighbors and colleagues who go the same way every day! iCarpool helps you find, connect and carpool with drivers going your way in a matter of minutes. Here's how it works. Use the App to tell us about your morning and evening commute. The App shows you matching carpools. Check the location and trip time to determine if the carpool works for you. Book your ride for upcoming trips within the next few hours. Make your way to the pickup stop a few minutes before the driver arrives. Once your car arrives, show the boarding pass to the driver and get in the car. You're on your way! When the ride is over, the App automatically deducts the fee from your account. Make sure you rate your driver. Remember - iCarpool is a flexible carpooling app. When you book your ride, make sure you have enough time to make it to the pickup stop before the driver arrives there. At iCarpool, it is our commitment to make carpooling fun, flexible and safe. People who use iCarpool are your co-workers and neighbors. They give rides because they care about the environment, community and they want your company instead of a solo commute. They inspire us every day. We verify all our drivers have a valid driver license, a good driving record and we verify their employer association. You've got the power to influence the community. You rate drivers after every ride just as drivers rate riders. Ratings are another way we promote reliability and safety. 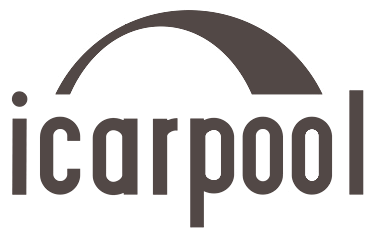 Our drivers are commuters who are simply offering rides on their way to work or on their way back. They hold responsible jobs just like you. They don't drive 80,000 miles a year or 10 hours a day. 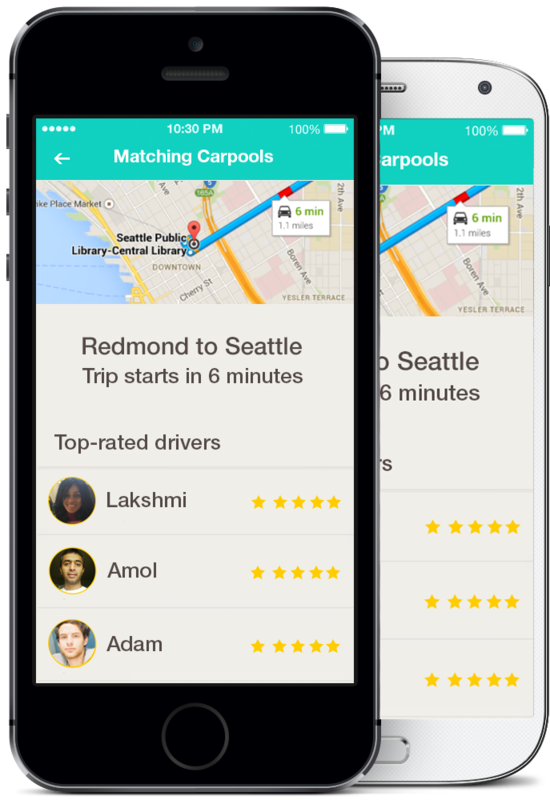 See your carpool matches in the app. For every trip you take, you get to choose when you leave and who you go with. No penalties and no cancellation fees. Every feature of iCarpool is designed towards casual, friendly carpooling. ©2019 iCarpool. All rights reserved.